This jacket will be a little long the first winter, worn with the sleeves cuffed. The next winter, it should fit as a sweater might, with the sleeves uncuffed. 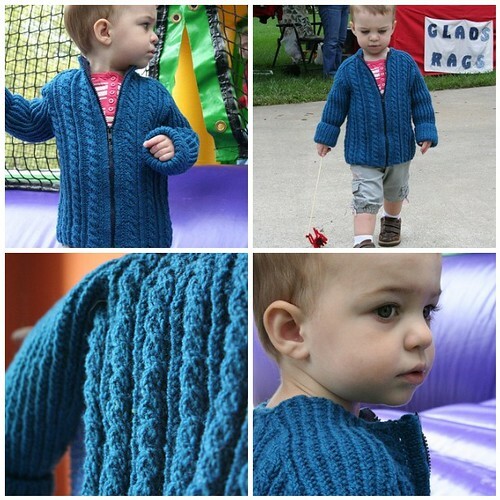 Both the cabled and the twisted 1×1 ribs have incredible stretch and will expand to fit a growing child’s arms and belly. The sleeves are completed first, then joined to the body. 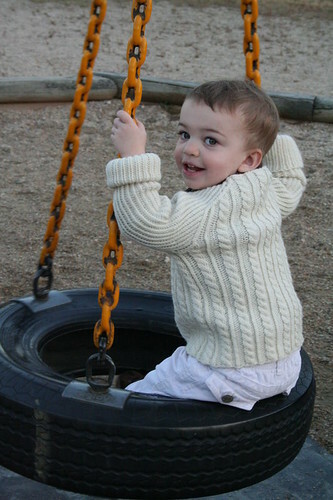 The body is knitted in the round from the bottom up, then steeked open. Elizabeth Zimmermann’s saddle shoulder construction is used for the armhole and shoulder shaping. The neck opening is a bit wider than average and the back neck is shaped by short rows, with the cabled and twisted ribs extending up to form a collar. 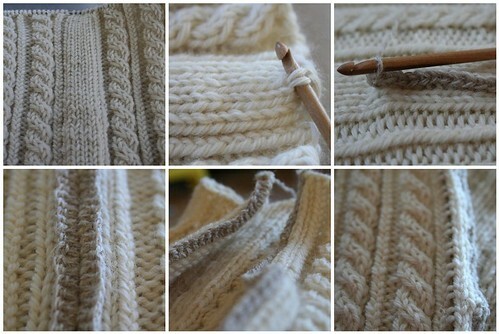 Rolled edges are knitted on to provide a place for the sewn-in zipper. Many thanks to my wonderful test knitters – Andrea, Danielle, Erin , Jennie, Mai, and Svenja – for working through the draft pattern! Knitting in the round, reading and working through a cable chart, cabling, increasing, decreasing, three-needle bind-off, crocheting a chain, steeking, picking up stitches, hand sewing a zipper. Model shown in size 1 yr. 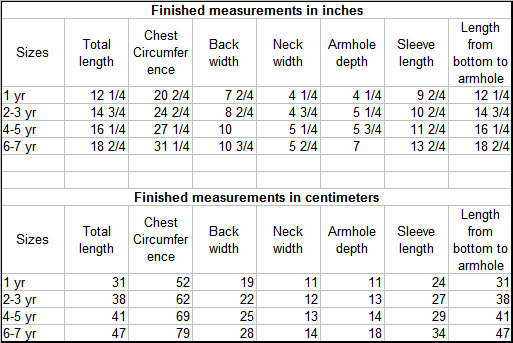 NOTE: It is important to closely match both the stitch and row gauges because of the way the armhole and shoulder shapings occur. 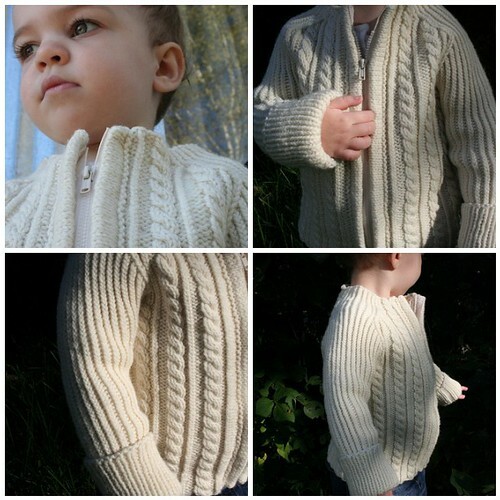 Briggs & Little Regal [100% wool; 272 yd (249 m); 113 g (4 oz) skein]; color: Bleached White, 2 (2, 3, 4) skeins.